 The Vital Living Institute will enhance your capacity to identify, understand and deliver solutions for meeting congregational and members’ emerging and future needs. The Institute is a day where creative spirit, experience, collaboration, and innovation will be blended to share ever-evolving approaches, programs, and services that go beyond the traditional to meet the known and unarticulated health and well-being needs of all members. Please join us as we explore what’s possible, what’s achievable and what’s next.